If you feel that protein powder is only for men and it will help you develop nothing more than muscle mass, then think again. This is the biggest myth that needs to be busted. It is true that protein powder can help develop lean muscle mass, but it is also true that the same supplements can also aid weight loss, keep one full for a long time, improve metabolism and deliver vital nutrients to the body. Protein shakes won’t change you into Hulk for sure. Thus, keep the questions like “Will protein shakes make me big and muscular?” or “Should only bodybuilders consume a protein shake?” at bay and consider these 8 Reasons Why Women Should Use Whey Protein Powder. Whey is a dietary supplement used for decades by bodybuilders and sportsmen. Derived from a liquid by-product during cheese making, Whey has garnered tremendous attention due to its possible benefits and health-enhancing claims. A mix of Immunoglobulins, Alpha-lactalbumin, Bovine serum albumin and Beta-lactoglobulin Whey, was earlier marketed for people involved in resistance exercising to help them in lean tissue growth, improve protein synthesis in the muscle. Today it has become popular as a complete health supplement. It is available in 3 types – Whey Isolate, Whey Hydrolysate, and Whey Concentrate. Women need Whey because it is packed with nine essential amino acids and low lactose content. Consuming Whey on a regular basis could help the lady of the house in following ways. Women age with the risk of joint problems and osteoporosis. Hence, it is essential that they consume protein-rich foods or consumes Whey protein shakes that give their body a constant supply of vital nutrients, regulate their weight and help in gaining lean muscle mass. Whey is undoubtedly the most efficient protein for fat loss and muscle build up. Its fast digesting and fast absorbing properties help in stimulating better muscle growth when compared with other slow absorbing protein powders. As Whey is highly efficient when it comes to providing vital nutrients to the muscles faster, it will assist in building the muscle mass faster and increase one’s metabolism. Researchers have revealed that by consuming protein and carbohydrates pre-workout have a more significant influence on muscle growth than having them post-workout. Thus, ladies, it is recommended that ingest a whey protein shake and have a few carbohydrates at least 30-45 minutes before hit the gym. Keep in mind that building lean muscle will never make you bulky. Instead of building a few pounds of lean muscle from well-monitored resistance training will boost the metabolism and give you “toned” look. Isn’t it better than spilling your guts in cardio exercise for hours and hours? A study published by pubmed.gov it is stated that Whey is far superior to Casein and Soy when it comes to boosting body’s metabolic rate. Not only this, but it also helps in burning fats. Whey contains peptide glycomacropeptide that triggers the intestinal hormone and tells the body that you are full and that it’s time to use stored body fat as fuel. Thus, ditch all your soy or vegetable-based protein supplements and opt for Whey protein isolate. Mindless snacking in the afternoon or during wee hours at night can trigger weight gain and make your health goals go for a toss. Protein by its nature is highly effective in keeping one full for more extended periods. Thus, a high protein and low-calorie shake can help you fight those mid-meal cravings and help you stick to your health regimen. In-depth research published by pubmed.gov states that Whey contains a considerable amount of amino acid tryptophan can improve stress control, improve coping abilities and potentially increase serotonin, i.e., the happy hormone (high levels of serotonin are associated with an improved mood). Yes, ladies, Whey protein shake can make you feel happier! Glutathione is an antioxidant that plays a vital role in maintaining resistance. Various studies have revealed that Whey protein has positive effects on individuals with cancer, HIV, and chronic fatigue syndrome. Thus, drinking protein will help you to stay healthy! Protein makes up about half of the bone volume and one-third of the mass. The bone matrix is continuously evolving and remodels itself which involves protein breakdown and synthesis. Thus, a regular supply of protein is required for bone maintenance. As we age the bone mass, muscle mass and strength are lost. The age-related loss of bone mass also known as Osteopenia and loss of muscle mass known as Sarcopenia are related and maintenance of adequate bone strength and density highly dependent on the maintenance of muscle mass and its function, which is dependent on the intake of high-quality protein. Whey is potent in increasing bone health and minimizes the chances of osteoporosis. HGH is a hormone, produced in the brain that helps you to grow! It is an anabolic 191-amino acid, a single-chain polypeptide hormone that is synthesized, stored, and secreted by somatotropic cells of the pituitary gland. The hormone stimulates bone and muscle tissue growth through the metabolism of proteins, fats, and carbohydrates. It is also a potent regulator of immunity among other physiological processes. Whey and exercise can help in boosting this hormone and regulate it. Anabolism means the construction of muscle tissues. 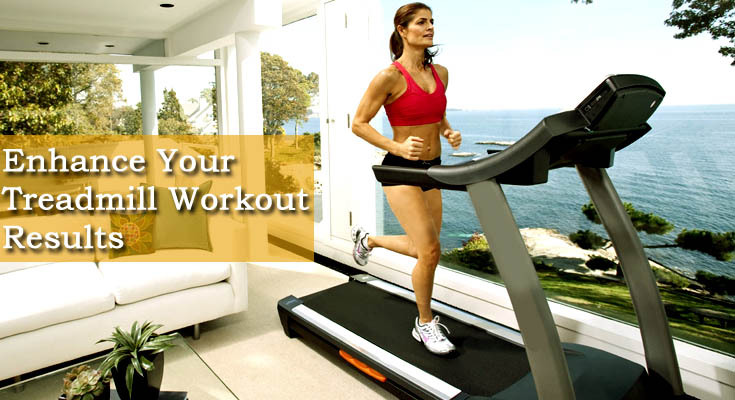 During exercise, the muscle tissues tear apart and need to be repaired. This recovery can happen fast only with an adequate amount of protein. Whey protein post workout yields best results as it is easily digestible and absorbed faster by the body.